Rated 5 out of 5 by Karavan from Sometimes old style is good Since I like TM games and there are not a lot offered lately I am enjoying this. Some of us just want to relax with a game and this is doing that for me. No it's not anything new but familiarity has its charm. I am having fun with this so that is all that is important to me. The English mistakes just make me laugh and there is enough strategy needed that I have to play some levels more than once. I don't like games anymore that make me tear my hair in frustration or that I have to refer to the forum for every level. So I recommend this game for those that just like to play. Rated 5 out of 5 by SPIRIT59 from Big Hit in my book ! I really enjoyed this time-management game a little more challenging but 3 star winnable! I Love the story line too. very well done. Thanks BF for another Time-management game Can't wait for the next in this series ! Rated 5 out of 5 by jean1952pink from chase for adventure loved this time management game, it's a gather and build game, lot's of fun, Ilook forward to the next one. 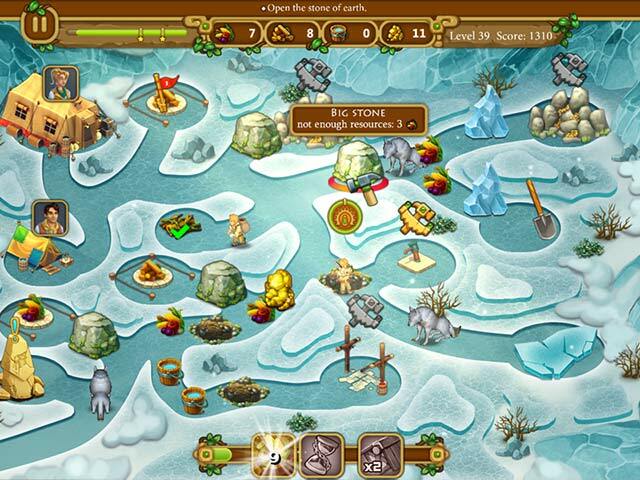 Rated 5 out of 5 by julie65608 from Chase for Adventure strategy is the answer I love this game. It is a TM but I found it quite challenging. The farther you go the more you must use the proper strategy. In certain chapters, if you go the wrong way or do not use the increase buttons at the bottom you will find you self starting over. This to me is a challenge. I loved it. Pay attention to your task given you. Map out how to achieve your goals and have fun. None of us really want a game that doesn't challenge us. This one will give you a run for your money. Swim on fishes and have fun! Rated 5 out of 5 by LanaPook from Good little game! If you like TM games this is a goody! I was surprised find it more challenging than I expected. You have to think to get through some levels. Great fun! Rated 5 out of 5 by Isator from great TM i do like this game a lot even though I do not think it is for beginners. Rather early you have to really think about what you are doing and how. So it can be challenging. Rated 5 out of 5 by joybelle_1 from Just plain good time-management fun! 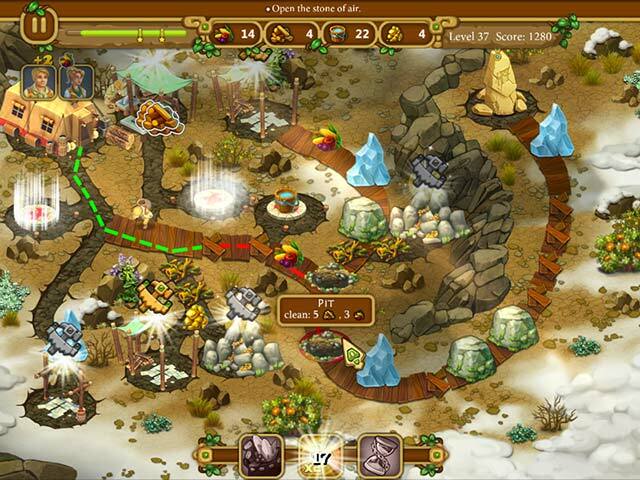 This is a standard "gather resources" and "upgrade" time management game. It is however very user friendly and fun to play. 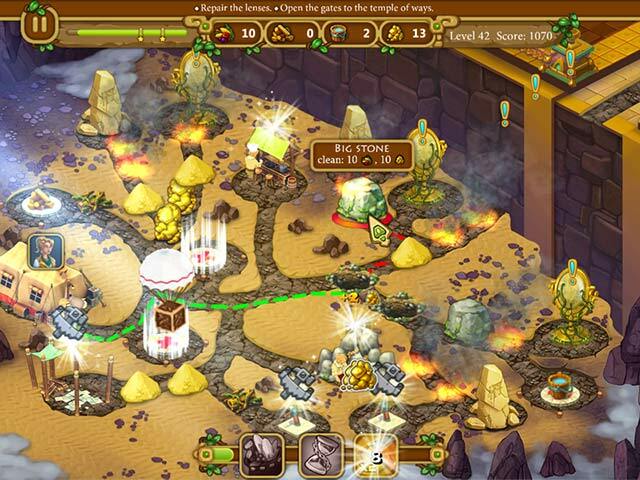 The characters move at good speed, you can multiclick your tasks, and there are many different bonuses. You DO need strategy though quite early on as to how to use them and which upgrades to do first (if at all) which is quite refreshing rather than "upgrade everything" and you will make it. There is a relaxed, normal and expert mode If you enjoyed Hurcules, Gnomes Garden etc, you will enjoy this. Plenty to do in a pleasant screen environment and just enough to think about without frustration. Rated 4 out of 5 by squapril from A fun basic TM Game with a twist I really enjoyed it. More than I expected actually! Quickly realized that many levels require a bit of strategy to finish efficiently. Had to restart a few when I didn't use my resources carefully, but didn't find any levels frustrating. The graphics are good, the 'action' graphics a bit simple but understandable. Like most TM games, new features were added to higher levels to make the game a bit more challenging, which is a key point to keeping me interested. Found some challenges took a few steps to achieve, sometimes needing 2 sets of resources (eg. set up camera, then take picture). Good storyline. Some background and character development throughout the game that was enjoyable to read. 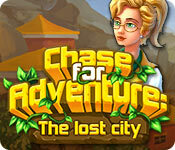 I'm looking forward to other Chase for Adventure Games!